No por nada Sean Malone se ha convertido en uno de los mejores bajistas del mundo, con 2 libros de teoría de bajo, un PhD en Teoría de música, trabajos tan reconocidos como el Focus y el Traced in Air de Cynic, su propia banda Gordian Knot, ha participado en Aghora, Anomaly, Spiral Architect y otras mas no es mucho decir que en la historia del metal ya ha escrito su historia. Pero no hay presente sin pasado y es por esto que quise compartir con ustedes el primer trabajo de Sean Malone como solista; en el mismo los amantes de Gordian Knot encontraran muchas cosas parecidas y hasta canciones compartidas. 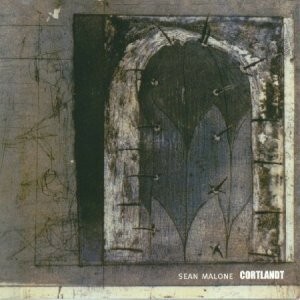 Cortlandt (1996) is the first solo CD by bassist/composer Sean Malone. It features a rich tapestry of musical styles, from fusion, to world music, to the Baroque. It contains, as Sean puts it “a lot of the bits and pieces that never made it to the setlists of the groups I’ve played in” with a focus on fusion melody and harmony (Controversy, Splinter, Giant Steps). As much as it is a showcase for performance, Cortlandt is the freshman offering of Sean’s composition and arranging skills, utilizing an array of textures and instrumentation. Fans of Cynic and Gordian Knot have sought out this little-known disc, but should be warned that it doesn’t serve as a ‘prequel’ to Gordian Knot; it’s a chance to hear Sean stretch out as a bassist and début as a composer in a fusion setting. Pingback: Coprofago-Metal Jewels Vol. VII | WTF?